Heroin(e), a Netflix-produced documentary edited by New York Film Academy (NYFA) instructor Kristen Nutile, has been nominated for an Emmy. This adds to its rave reviews and other major award nominations, including for the Peabody and, earlier this year, for an Academy Award. 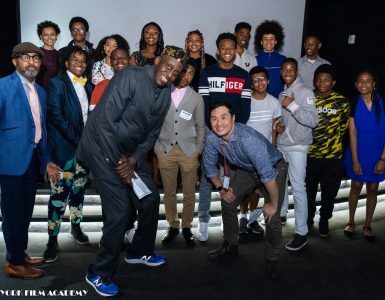 Heroin(e)’s producers join NYFA alumni, guest speakers, and other NYFA community members with nominations for the Emmy this year, including Bill Hader and Issa Rae. One of Netflix’s acclaimed original documentaries, Heroin(e) is directed by Peabody Award-winning documentarian Elaine Mcmillion (Hollow, The Lower 9). The film offers an intimate and harrowing view of the nation’s opioid epidemic through the stories of three women in Huntington, West Virginia — a city now infamous for an overdose rate 10 times the national average. The nominations for the 39th Annual News and Documentary were announced on July 26 by The National Academy of Television Arts & Sciences, who also annually distribute the Daytime Emmy Award and Heartland Emmy Award, among other accolades. The News & Documentary Emmy Awards will be presented on Monday, October 1st, 2018, at Jazz at Lincoln Center’s Frederick P. Rose Hall in the Time Warner Complex at Columbus Circle in New York City. The ceremony will be attended by more than 1,000 television and news media industry executives, news and documentary producers, and journalists. Heroin(e) is nominated for Outstanding Short Documentary, and is one of 112 nominations for streaming juggernaut Netflix, who for the first time this year leads all networks in total noms, beating out HBO (108) and NBC (78). Heroin(e) was edited by Kristen Nutile, who teaches for the Documentary School at New York Film Academy’s New York campus, a program featured on The Independent Magazine’s list of Top 10 Academic Programs for Documentary Filmmakers. The school boasts both award-winning alumni and faculty. Nutile is a prolific filmmaker in her own right, having edited two dozen films in addition to directing six of her own. She founded Soft Spoken Films in 2001, and is a recipient of the Albert Maysles Award for Excellence in Documentary Filmmaking. The New York Film Academy congratulates documentary instructor Kristen Nutile and Heroin(e) on its incredible run of prestigious nominations and wishes them the best of luck at this year’s Emmy Awards! 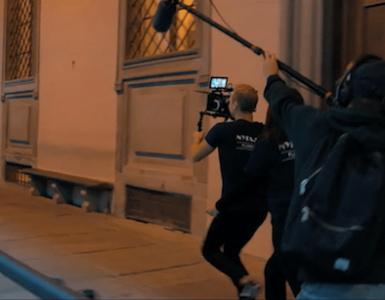 Interested in studying documentary filmmaking with the New York Film Academy? You can find more information here!